She is different. 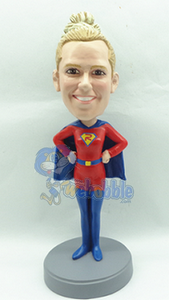 Dressed like supermom, this super girl custom bobblehead would make the perfect birthday or mother's day gift. Sporting her cape and hands to her side.